Advent is a four week season of preparation for the celebration of God's appearing (advent means "appearing" or "coming"). During Advent, we remember that God has appeared in Jesus and that God will one day appear again, to rule with justice and joy over the earth. In the meantime, we look for the many ways God wants to appear in our world now. 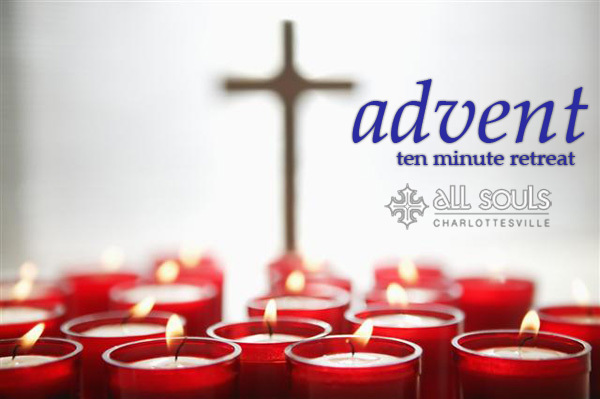 Each weekday of Advent, we will send out a guide to help create a ten minute space for silence, reflection and prayer as, together, we wait in hope for God. Join us.